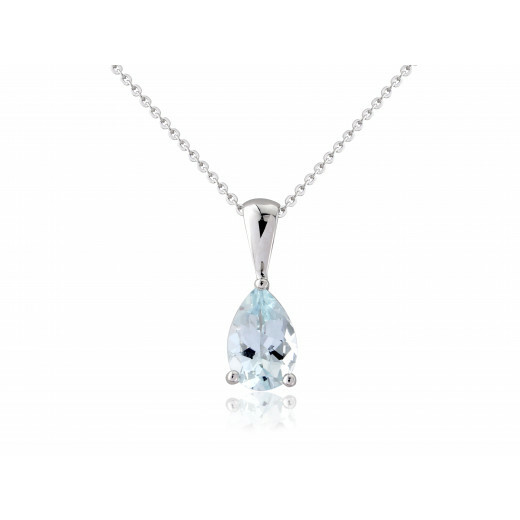 A pale blue Aquamarine stone - like a drop of the ocean - set into White Gold with a polished bale and fine trace chain. Simple and delightful; a 'wear anywhere' piece and a fool proof gift. 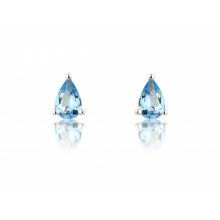 Especially perfect for birthdays as Aquamarine is the birthstone for the month of March.